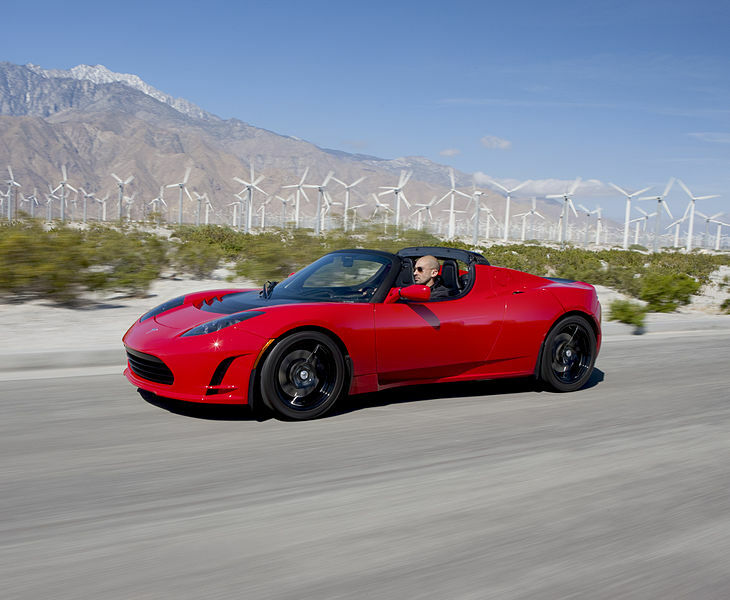 The Tesla Roadster was the first production car by Tesla Motors. Its 215 kW electric motor can accelerate the car from 0 to 100 km/h (60 mph) in less than 3.9 seconds. The car has two seats and two doors. Its lithium-ion batteries offer a range of 395 km (245 miles) and can be charged in as little as 3.5 hours.